Notes of apricot, may blossom, Honey and elegant smell of Narcissus. You can keep it in your cellar during 2-3 years. Harverested very early in the morning as to benefit from freshness. Protection of bay and juice from the aeation as to avoid any oxydation. Pneumatic pressure, cold settling and slow fermentation (18°C) in a stainless steel vat. 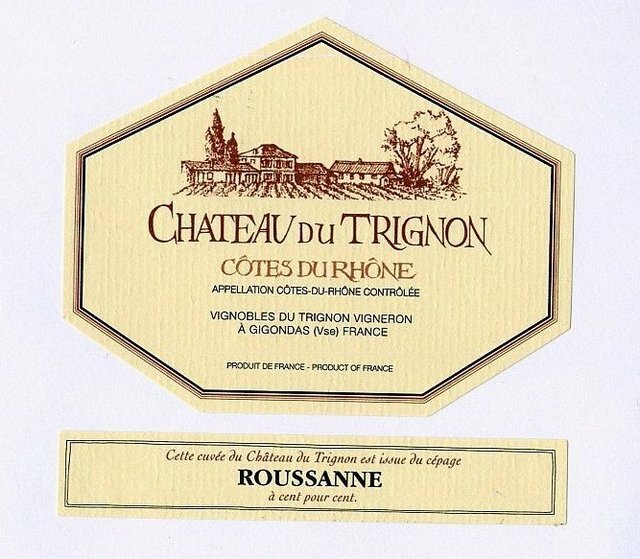 vintage 2010 It’s unusual to find 100% Roussanne wines, but this is a terrific example at a realistic price. It’s broad and mouth-coating but still seems fresh, with melon, pear and pineapple flavors that linger on the tightly focused finish. Drink over the next year or two.